We felt the increase in seismic activity about eighteen months ago when Leigh Kamman announced his retirement from Minnesota Public Radio and the final broadcast (September 2007) of his long-running, nationally acclaimed Jazz Image. It was just a rumble but enough to raise the hairs on the back of a jazz fan’s neck. Would MPR really continue to broadcast a weekly jazz show? Could anyone replace Kamman? Did the creation of The Current from the ashes of WCAL signal future changes in public radio programming? 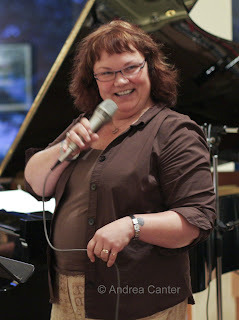 After declaring a “national search” to replace Kamman, MPR went inside and tapped veteran broadcaster (and jazz fan and singer herself), Maryann Sullivan, to host a new weekly jazz program, The Jazz Connection, in Kamman’s old time slot. No one could replace Kamman and Maryann didn’t try. She gave it her own spin, which included some pretty interesting interviews as well as an eclectic selection of jazz releases. I would have become a regular listener save the fact that most Saturday nights find me out listening to live jazz, often music recommended on Maryann’s weekly Jazz Connection e-newsletter. Sometimes I found the broadcast archived and enjoyed it later in the week. But it was a short-lived transition from legendary national jazz broadcast to no-cast. Sullivan has been laid off and The Jazz Connection terminated in favor something more “au Current,” aka a mixed bag of music hosted by the Morning Show’s Dale Connelly and Radio Heartland. Aftershocks are sure to follow. This leaves us with KBEM and KFAI as the two radio stations that present mostly jazz for what is often described as one of the top markets for jazz in the nation. Neither station is likely to have the resources to pick up a show like The Jazz Connection. Worse, perhaps, The Jazz Connection was the last remaining jazz program on MPR. 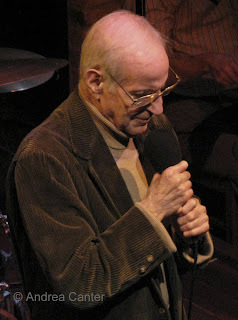 Marian McPartland’s Piano Jazz was picked up by KBEM, which also broadcasts Dee Dee Bridgewater’s Jazz Set and other national as well as local productions. We do have good options on KFAI as well. So in a sense, we are lucky that we were not dependent on MPR for our jazz connections. Still, the idea that Minnesota Public Radio no longer serves as a conduit for music as basic to the original spirit of public radio as jazz is a bit absurd. Freedom from commercialism? Serving the needs and interests of a broad segment of our society? Fostering independence in the arts? I hear jazz, live, on radio or on CD, every day, every night. So I know jazz is not dead. Which is more than I can say for some of the brains that used to program it.